Jay-Z: No robotic vocals for him. 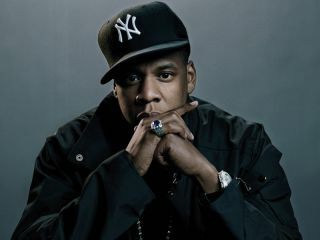 Kanye West has revealed that Jay-Z's hotly anticipated Blueprint 3 will be an "anti Auto-Tune album". Anyone who's heard West's 808s and Heartbreak will know that he's an avowed fan of Antares' software, but it seems that Jay's not so keen. However, rather than writing a withering critique of the world's most famous plug-in, his 'anti' stance simply involves him not using it. Speaking to MTV News, West - who's working with Jay-Z on the Blueprint 3 - said: "We actually removed all the songs with Auto-Tune off of his album to make the point that this is an anti-Auto-Tune album, even though I released an album that has all Auto-Tune!" He went on to draw this curious analogy: "It's music; it's just sonics. I like Auto-Tune so I do it, but you want the other thing - like you'll wear a suit to a wedding and gym shoes to a basketball game. "I think it's a perfect moment for Jay to provide some gym shoes to a basketball game right now." No release date for the album has been set, though we do know that it won't be coming out on Def Jam, as Jay-X confirmed his departure from the label last week.